Armani Code Profumo by Giorgio Armani is an oriental and spicy fragrance for men. It contains notes of green mandarin, green apple, cardamom, orange blossom, lavender, nutmeg, tonka bean, amber and leather. 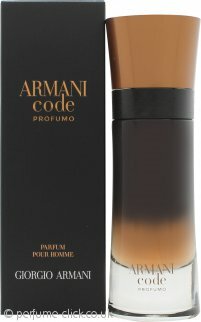 Armani Code Profumo was launched in 2016.